England boss Roy Hodgson says his side will go on the attack against Uruguay even though defeat could mean a first World Cup group stage exit in 56 years. England lost their first match to Italy and defeat in their second Group D game on Thursday could see them go out. But Hodgson will not abandon the attacking philosophy adopted in the 2-1 defeat in Manaus, insisting: "We're not going to put any of our weapons down. "Any weapon we've got we are going to try to use." The 67-year-old added: "Against Italy we just set out to play the game we thought we wanted to play. We didn't say 'right, today we're going all-out attack'. "We certainly won't be saying on Thursday 'we're going all-out defence', but it is very important at this level that you get both aspects right - that when we get the ball we use it, and we use the players we've got who can hurt the opposition." Temperatures for the 20:00 BST kick-off at the Arena de Sao Paulo are likely to be in the mid-teens - a more comfortable climate than the mid-30s England experienced in the Amazonian rainforest - but with 20,000 Uruguay fans having converged on Brazil's largest city, the atmosphere in the 65,807-capacity stadium is likely to be a hostile one for Hodgson's men. How England can escape Group D? "England fans do not despair. Even in defeat by Uruguay, qualification is possible. "There are presently 81 different permutations for Group D. Should England lose in Sao Paulo, they need Italy to beat Costa Rica on Friday. "Then England must overcome Costa Rica next Tuesday and hope Italy simultaneously defeat Uruguay. "If level, goal difference splits teams, then goals scored, finally results and goals in games involving the teams concerned. "Should England draw against Uruguay, they would finish level with them at worst with victory against a Costa Rican side beaten by Italy. "If England beat Uruguay, a draw against Costa Rica could be enough, depending on goal difference." England are expected to return Wayne Rooney to his more familiar central attacking role after he played wide in the Italy game, with Liverpool's Raheem Sterling likely to swap places despite excelling against Italy. Rooney has 39 goals for England but has yet to score in nine appearances in World Cup finals. And Hodgson accepts that with Uruguay - who will recall Liverpool's Luis Suarez after his recovery from knee surgery - also having lost their opening game, this match has now taken on a sudden-death element for both teams. If Costa Rica and Italy draw in Friday's Group D game to move to four points each, then England or Uruguay will be out if they have lost the day before. "It is knockout football, even though it is the group stage," admitted Hodgson. "Any team that's lost its first game is entering a knockout stage even in the groups. "I'm certain Uruguay aren't 100% happy with that performance against Costa Rica, but we have so many other videos of Uruguay and so many other recent performances where they have actually been very good." England coach Gary Neville also said it would be wrong to underestimate the South Americans. "You look at Uruguay and you think that Edinson Cavani, Suarez, Diego Forlan, Christian Stuani, Cristian Rodriguez and Gaston Ramirez have got lots of attacking talent," said the former England and Manchester United full-back. "Look at Suarez. You leave him one-on-one with your defender and you're in trouble. "In some ways this game could be decided by the obvious: how many times can you get the ball into dangerous positions, into the feet, turned in on goal, to our best players and Uruguay's best players?" 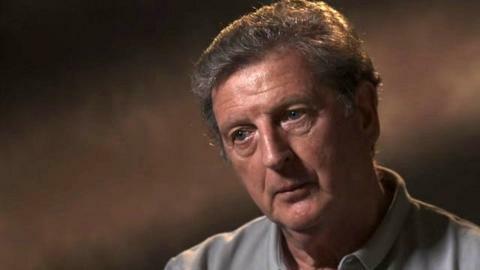 Hodgson added England's only worry should be being "right for the game with the right players on the field". He said: "We want to stay in the competition, and to stay in the competition we've got to get results in the next two games. "No-one's going to run away from that but worrying about it is not going to change anything before the game. "What we worry about is making certain we are right for the game and when the referee blows his whistle we are in the best condition to play and we have got the right players on the field and those players feel very confident we can win the game."